Alison Berns and Howard Allen Stern are one of Hollywood's most favorite couple. Alison Berns was a television and a radio host. She also made a name for herself as an actress. Howard Allen Stern mainly known for his radio show The Howard Stern show is also a television personality, author, actor, producer and photographer. Let's learn about their married life, their divorce and also about their daughter Emily. Just stay with us. They first met during college when Stern was pursuing his degree in Communications at Boston University. Alison, on the other hand, was pursuing her degree in social work. Stern approached Alison by asking her to appear in a movie about Transcendental Meditation that he was making for a class. Alison accepted his offer and began working together. On their first date, Stern asked Alison to see a movie named Lenny, based on the life story of Lenny Bruce. One date was enough to make them fall for each other. As time passed they grew closer and closer. For the fact, Alison was Stern’s first girlfriend and the only one in college. On June 4, 1978, the college sweethearts Alison and Stern got married at Temple Ohabei Shalom in Brookline, Massachusetts. It was a small ceremony attended by their families and close friends. Stern was very concern that Alison would not support him in the career he chose and started doing a job he was not interested in. Seeing this Alison and Stern’s mother stepped in and motivated Stern to follow the career he wanted. Alison and her husband Stern together were very happy and successful; in 1983 their happiness was doubled when they had their first child. They named her Emily Beth. The couple had two more children, both daughters Deborah Jennifer Stern(b.1986) and Ashley Jade (b. 1993). The pair did several projects together including Negligee and Underpants, U.S. Open Sores and Private Parts. And from the appearance, it didn’t look like the relationship would end. But they had to go through tough times and get their relationship down in the pit. 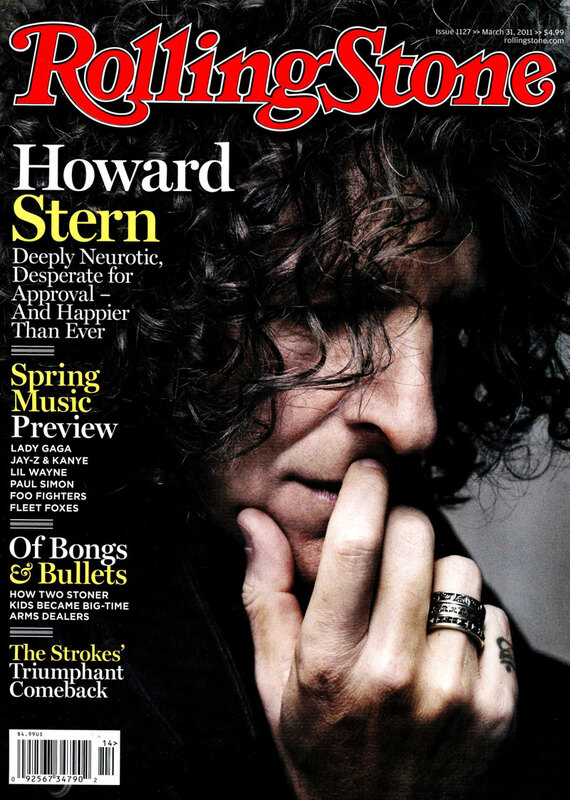 Must Read, What's Howard Stern net worth? See his Hampton mansion and cars. Alison Berns and Howard Stern slowly started to drift apart as Stern started to grow famous with his show The Howard Stern Show, which also features George Takei. It was syndicated to other markets in the country which made Howard a very popular person. Following his popularity, he began to become too obsessed with his work. Stern himself said that he was totally neurotic and sort consumed with work and gave it more important than his family and friends. In October 1999 the pair decided to separate due to Howard Stern’s obsession with his work. He was living with Berns in Old Westbury, New York from where he moved into a 4000 sq. foot apartment in Manhattan. Alison Berns and Howard Sterns finally ended their 23 years long marriage in 2001 with amicable divorce and settlement. Sometimes, no matter how much you work hard for your relationship, it fails if it never meant to be. Cruel Universe, I must say. As of 2019, Alison is married to her second husband David Scott Simon. The husband and wife got married on 20 November 2001 and are leading a beautiful relationship.